Even for an individual that is in best condition of health, it is pretty easy stumble and slip in the bathroom, which can result into severe injuries. This danger is all the more threatening for an individual that is not in good physical condition or who is just recuperating from an accident. Instead of putting yourself at risk of a life threatening accident, it is advisable to get a shower chair which will make it easy for the individual to shower from a risk-free seated position. When looking for a shower chair, it is essential to choose the one that would be simple to clean up. This might seem stupid since chair will only be utilized in the bath, however, it is vital that soap along with dirt and other filth is not allowed to accumulate on the chair, particularly when somebody in a critical state of health might be exposed to it. PVC aids to prevent the growth of fungi and germs, making it the perfect choice of material when buying this kind of chair. 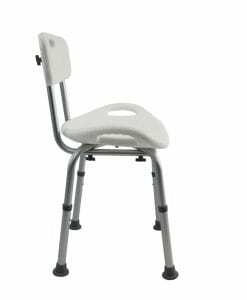 Moreover, it is important to buy a bath chair which possesses anti-slip protection functions, especially on the hand grabs. 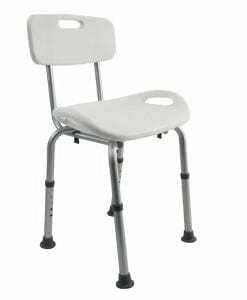 The reason for a shower chair is to ensure the safety of the patient safe when they are in the shower and, in the absence of good handles, this will certainly not be possible. 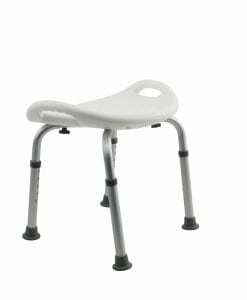 Even if they are sitting on a bath chair, because of the presence of water, there is every tendency that they might still fall and hurt themselves without the appropriate protection functions. With safety in mind as the primary goal, it is vital to consider the design of the chair and choose one with fine, curved ends. Irrespective of how protected an individual might be, there is always the smallest possibility that they will slide and fall, particularly in a shower. A chair with curved and fine ends minimizes the possibility of further harm in case of a fall. You can get a couple of chairs readily available that can function effectively in the shower and also in other aquatic environments. For instance, the PVC aquatic therapy bath chair also works as a transfer chair as well as an aquatic pool chair. This is especially valuable for somebody who is seeking to get all of their healthcare equipment within a strict budget, because they will get lots of uses from one piece of economical equipment. Whenever someone has a delicate medical problem, safety measures must be taken in every situation to prevent additional harm. This is particularly true when considering the shower, given that it is such a simple place where someone might easily sustain injury, even when they do not have a preexisting sickness. 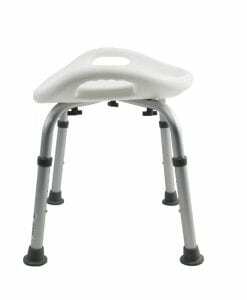 When researching the suitable shower chair, make sure you choose one that will not boost the accumulation of germs and that possesses all the required functions to prevent mishaps.